Usually every website owner has concerns like content optimization, security of the website, protection from spam and ensuring an efficient performance of the website during the times of high traffic. If your cloud website is paired with CloudFlare, your website can be properly optimized, it can be completely secured and a great performance can be ensured as well. CloudFlare has a traffic filter process and all the traffic coming to your website has to pass through this filter. After analyzing the traffic, only genuine and validated traffic is routed to the host. You can also determine various security levels and you can also determine some users as spammers or hackers in your CloudFlare settings and CloudFlare will filter them out. When you setup CloudFlare for your website, the CloudFlare name server is added to your domain. CloudFlare starts filtering out the bad bots and hacking attempts by analyzing all the requests coming to your website. When CloudFlare is integrated with your cloud website, technologically nothing changes the only important aspect is that there is another level of protection for your website that filters the website traffic. CloudFlare is available for free with the web hosting package and you can set it up right away when you host your website. CloudFlare works as a caching mechanism as it regulates the content delivery of all the website pages ensuring a faster loading time for your website users and also ensuring optimum performance of your website. You don’t need to worry about whether your content management system (CMS) will be compatible with CloudFlare or not. CloudFlare works efficiently with most of the content management platforms and can be used with static and dynamic content as well. As CloudFlare caches your website content, it works on cutting down the bandwidth consumption. 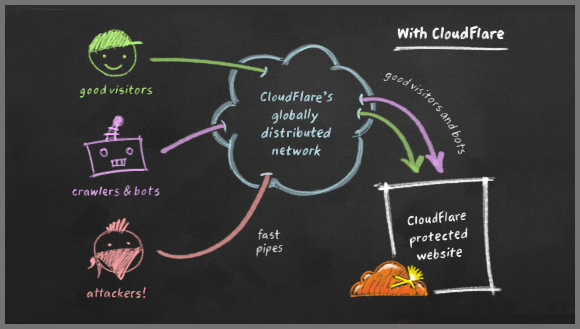 In order to provide an overall protection to your content, CloudFlare acts as a traffic buffer. It filters the malicious IPs, ensures DDoS protection and analyzes the traffic coming to your website. 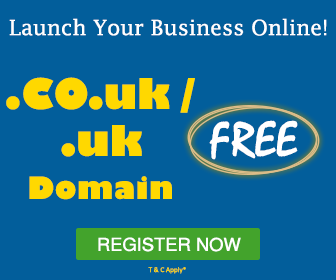 It treats the threats to your website before they reach your website. If you are going to have a large volume of visitors to your website, there might be possibilities of overages or your website getting slowed down. If your website is powered by a cloud server, it would certainly do well but if it is paired with CloudFlare, your website traffic will be managed through the CloudFlare network. The CloudFlare network reduces the direct hits to the website environment and reduces the possibilities of website downtime or slowing down of the website. CloudFlare also has the ability to create and save the copies of your most important website pages and serve them to the visitors when they want to access those pages. Therefore, even if your website is down, your visitors / customers will still have the access to those pages. As your website traffic is analyzed and only the genuine traffic is allowed to pass, your website saves out on a lot of resources. CloudFlare also increases the website speed because of the caching mechanism. CloudFlare works with a cloud load balancer for distributing your website traffic to multiple servers. This load balancing mechanism ensures that your website is always up and available even when one of the backend servers is down. Load balancer ensures better availability and also helps in decreasing the page load time. For load balancing, the website content is served through the nearest origin server to the user location. CloudFlare’s load balancer also supports automatic failover, health checks and geographic routing. 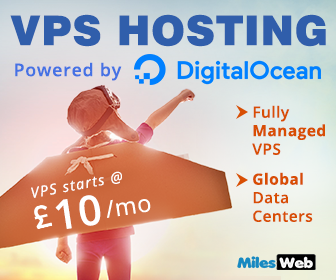 The cloud hosting platform is a great foundation for your website that provides incredible power to your website but when your website is powered with CloudFlare as well, your website performance and security is totally on another level. If you wish to optimize your website for fast speed and complete security, then you must consider having CloudFlare along with cloud hosting.